So, you have probably heard of 1 Eyed Jamaican without the #2. Well, this is a bit of variation from the first one with a few changes probably to make it better. Compared to the other one, it is still indica dominant. If you are in the market for indica strain, then you can always pick it to give it a try. 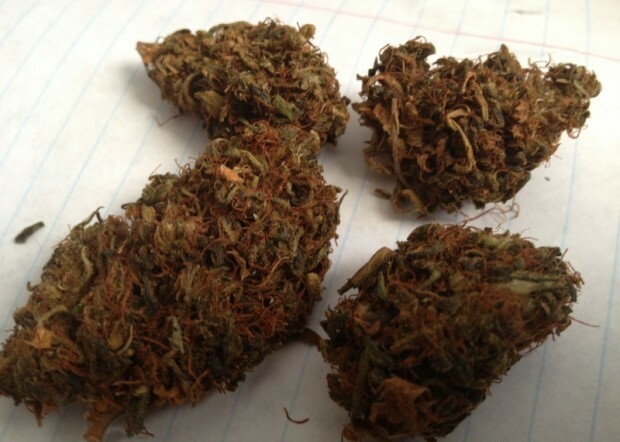 On overall, it is different with more effects that should give you a taste of the indica world. If you like to relax more often after work, then you can always consider getting yourself this type of strain. How good is the high? You can be sure that you will end up being quite high. It is a very potent type of strain. The THC levels vary from one lab to another, but it has an average level of 19%. Some other sources might quote it even more, just know that it is a highly potent strain. The high often kicks in immediately. You could be smoking this minute and the next minute you are already high. You might want to take it slow because of its high potency. The strong high will get you to places you cannot even imagine. On the overall, it gives you a sedative nature. This sedative effects are great for relaxing. If you had a rough time at work, you could as well as use it for relaxing. It will give you a space where you relax and forget all the worries. It is strong, so make sure to smoke it when you no plans after smoking it. If you were to meet someone, then you might end up missing that meeting. Most of the time, the smokers would just lay on the couch in a sedative state feeling happy. Talking of feeling happy, this is due to the euphoria kicking in. No more stress for you when using this type of strain. You will be in a calm state always helping you to forget about your problems. It could also come in handy for those who have lost appetite. You are going to feel hungry after the high starts to come down. Just make sure you have some munchies around to eat. The fruity smell you could enjoy when it comes smoking it. The strain will keep your room smelling great each time you continue smoking. The taste is as good as the taste too. You will experience a fruity and sweet taste. Any cannabis user should already be liking this strain. As for the growing part, you should not find it a problem handling this strain. Most growers claim you only need to have some basic gardening skills to work on it. Growing it in a greenhouse makes it possible to achieve more yield. It can still be grown outdoors under the right conditions. On average, the maintenance is not much so growing it should be fun too as you wait to smoke it at some point. Being highly potent provides an avenue for the strain to do some good to the patients. It gives the patients the high that would help them relax. This sounds like a product people with stress and depression issues settle down. The next time you feel a bit stressed, then you know what to look for. That is not all as you could use the same to treat pain related conditions. The relaxation and numbing effect take away the pain from the body. Growing it in a greenhouse is considered the ideal method. Extraordinary product also Mind blowing Experience, Feeling awesome. Absolutely no paranoia and I usually am very paranoia prone so thats a plus. Super product!! Eyed Jamaican #2 is awesome!! It brings relax. Just awesome. I will be ordered it for medical purposes. Made me stress free. I will be ordered it for medical purposes. Always made me stress free. It’s give me super power,Chronic pain also Stress. Absolutely right It is an easy strain to grow with basic skill. It make me attractive because It has an average plant height. the aroma is distinct and almost cologne-like, the flavor is full of earth tones with after tastes of the cologne smell. perfect product. wow a lot thanks what a fantastic product it is!! It is an easy strain to grow with basic skill. The God Gifted product!! I fell more and more relax after use it. its own power I can not forget. 1 Eyed Jamaican #2 is a very potent type of strain. Effective product . It always provides a space where i can relax and forget all the worries.